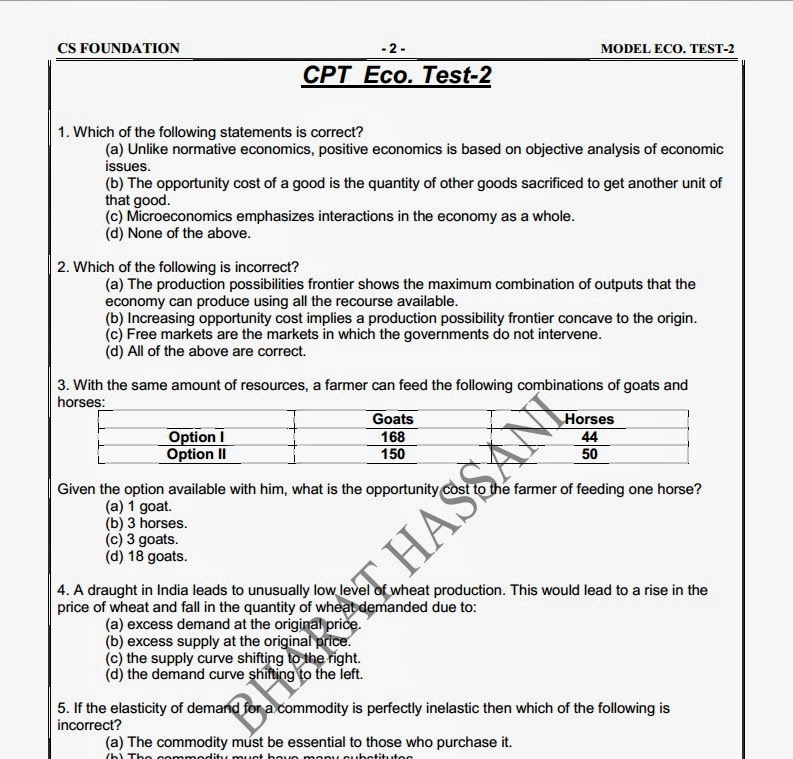 Here we are providing the Model Test Paper (Economics) for CS Foundation Students for their better performance in the CS-Foundation Examinations. Students can download the test paper, solve and Send it back to us at the given E-mail address to get their answer sheet check. 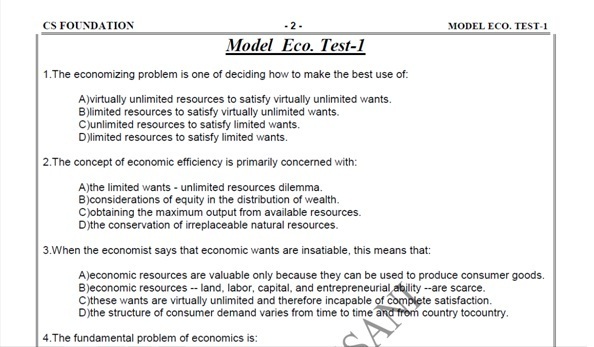 Students are required to read the instructions given with the Model Paper carefully, and comply with the requirements given under it. Download and keep Model paper to you. Solve the paper and Practice for your Exams. Answers will be checked and Correct Answer Sheet will be send to you within 24 hours.